J.M. Lavallee: 'Gull Cliff' or 'Gullcliff'... What do you think? It's difficult even to find a map bearing the title Gullcliff. Not before creating the Wishing Stone and Other Myths did I realize there isn't (or doesn't appear to be) a concrete spelling for Gullcliff, a tiny island which neighbors inhabited Harrington Harbour of Quebec's Lower North Shore. 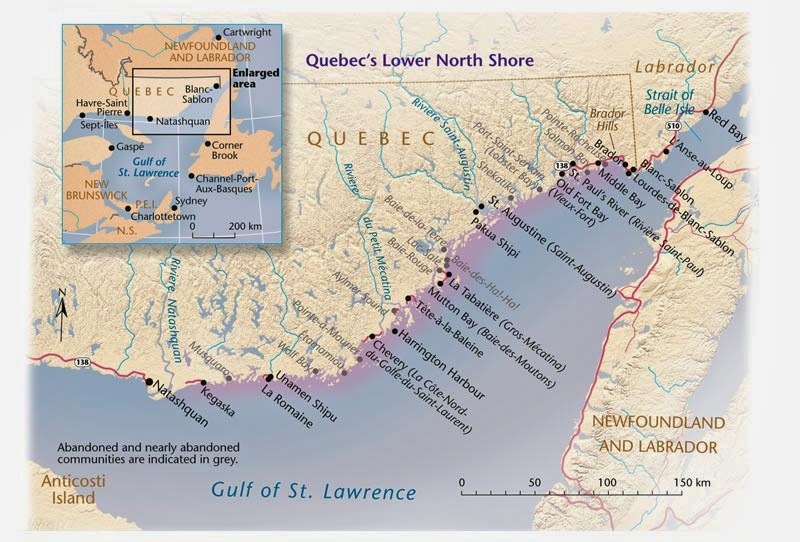 While Gullcliff Island (let us go with this spelling for now) may no longer bare community, it does possess a significant past which many people along that Quebec Shoreline share. Gullcliff was once bustling with fisher families in the summer months, their homes small and comfortable, and while some have kept up or reworked a tiny house for visiting, the island now is, for the most part, a home to memory. The setting of my soon to be released novel begins on Gullcliff Island, and my talented Morning Rain Editor, Ms. Jennifer Jaquith of course requires consistency. We must decide on which manner of spelling should be utilized in the Wishing Stone and Other Myths (Lessons learned on Gullcliff Island), but are finding the answer is undefinate. Maps have proven unhelpful as I have found separate maps using either. And so, I put these questions to you, the reader. If you've never heard of this place before, what sits best with you; Gull Cliff or Gullcliff? If you know this island and have lived by it, what, to you, reads the island; Gull Cliff or Gullcliff? Please let me know your thoughts on this by emailing me or posting comments, then keep in touch as I will announce in a few days time the route Ms. Jaquith and I have decided upon. I've always used Gullcliff, it seems smoother. I like Gull Cliff as well. It's more visually appealing then Gullcliff, and invokes images of a cliff swarming with nesting sites for a multitude of sea birds.